SoCal Regionals 2013 Wrap Up and Thank You! 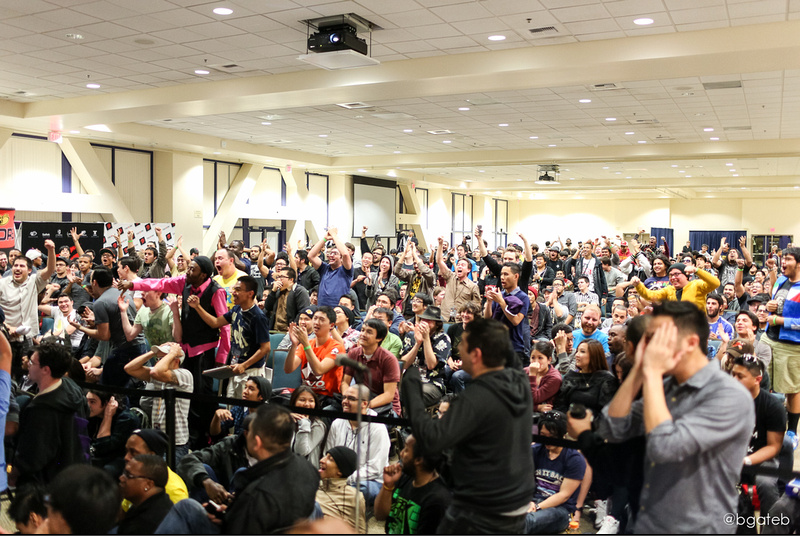 On Jan. 18-20 2013, we’ve showcased our third installment of the SoCal Regionals tournament to the masses with players from all over the country and some parts of the world. 800 competitors battled their way through gruesome pools to win over $20,000 in cash and prizes plus seeding for the EVO World Championships in Las Vegas. Over 30,000 fighting game fans were cheering for their favorite players through our http://twitch.tv/leveluplive broadcast on finals day and the excitement carried on all night long. A record breaking weekend across the board which couldn’t have been achieved without the support from our amazing fans! We want to thank all competitors and fans for supporting their favorite titles at SoCal Regionals 2013! Special thanks to our sponsors for making SoCal Regionals 2013 the best fighting game tournament to date! The Game Station, Mad Catz, Namco Bandai Games, Capcom, Atlus, SNK Playmore, Playstation All-Stars Battle Royale, Brokentier, Monster Energy, ArcadeShock, Eightarc, HORI, WeMade Entertainment, Toylet.net, J&J Modding. Last but not least, we want to thank all of our supporters, volunteers, and staff for making SoCal Regionals 2013 a wonderful experience for everyone!